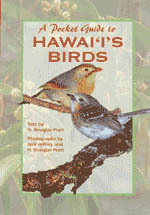 A handy pocket edition of Hawai i s Beautiful Birds, this volume is perfect for taking along on birding trips and outings or just browsing. This guide is an introduction to the beautiful birds that inhabit America s only tropical state. Not intended as a complete field guide, this book will nevertheless identify all of the birds likely to be seen by the beginner.